Owner of Silver Spring, MD, based wellness center. 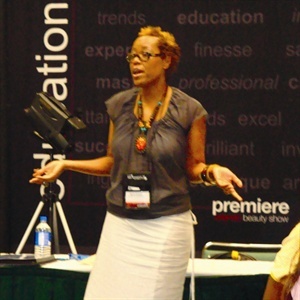 Dunbar is a well known educator, known for her inexhaustible energy and optimism. Her cosmetics line is called Bluff a Joe. Former Nail Technician of the Year. Nail tech and entrepreneur Maisie Dunbar traveled to Ghana where she led an advanced training at a nail salon.